2020 marks English National Ballet’s 70th Anniversary with celebrations taking place throughout the 2019-2020 Season that give opportunities for the Company to say, ‘Thank You’ to its audiences, fans, friends and partners. The 70th Anniversary will be celebrated with three special Gala performances at the London Coliseum featuring extracts from a diverse range of repertoire spanning English National Ballet’s history. The 2019-2020 Season will also see the return of Khan’s first full-length collaboration with English National Ballet, Giselle, with performances at Sadler’s Wells in September, with English National Ballet Philharmonic. Co-produced with Manchester International Festival and Sadler’s Wells, the critically acclaimed reimagining of the iconic ballet received its world premiere in 2016 and has since been seen live by over 80,000 people through tours to nine cities, both in the UK and internationally. Giselle has also been broadcast in cinemas and was recently released on DVD and Blu-ray. Following Christopher Wheeldon’s restaging of Cinderella for in-the-round performances at the Royal Albert Hall in June 2019, English National Ballet will bring the proscenium arch version of this sparkling ballet to audiences outside of London in Manchester and Southampton. This inventive production combines magnificent sets and costumes, beautiful choreography, and Prokofiev’s sublime score performed live by English National Ballet Philharmonic. Having delighted audiences around the world with tours including Japan, Paris, and Spain, Autumn 2019 sees Le Corsaire return to Milton Keynes six years after its 2013 premiere in that same city, before performances at the London Coliseum in January 2020. The only UK company to perform the complete work, English National Ballet’s production was staged by Anna-Marie Holmes and features sets by Hollywood designer, Bob Ringwood, and a sweeping score performed live by English National Ballet Philharmonic. Continuing its Christmas tradition of presenting a Nutcracker production each year since 1950, English National Ballet’s Nutcracker will tour to Liverpool ahead of performances at the London Coliseum. Tchaikovsky’s beautiful score is performed live by English National Ballet Philharmonic. Since its premiere in 2010, this festive family favourite has been seen by over 660,000 people, and continues to attract new audiences, with 70% of 2018’s audience members first time attenders at the London Coliseum. English National Ballet remains committed to developing and nurturing talent within the company. Emerging Dancer, which returns in Spring 2020, recognises the excellence of the Company’s artists through an annual celebration that sees six finalists mentored by their peers to perform in front of a panel of eminent judges. The winner of Emerging Dancer is announced alongside the People’s Choice award and the Corps de Ballet award, introduced to recognise the hard work and dedication of an exceptional member of the corps. Developing the ballet audience of tomorrow, English National Ballet and English National Ballet School’s My First Ballet series takes a popular ballet title and adapts it in time and length, making it accessible to children as young as three. Since 2012, over 290,000 people have seen a ballet from the series. 2020 sees a new version of My First Ballet: Cinderella performed on tour in the UK. International ballet star, Brooklyn Mack, will perform with English National Ballet as a Guest Artist during the Autumn-Winter 2019-2020 Season. Mack last performed with English National Ballet in 2016, in Le Corsaire. Taking the very best in British ballet to audiences across the world, English National Ballet tours Akram Khan’s Giselle internationally next season. 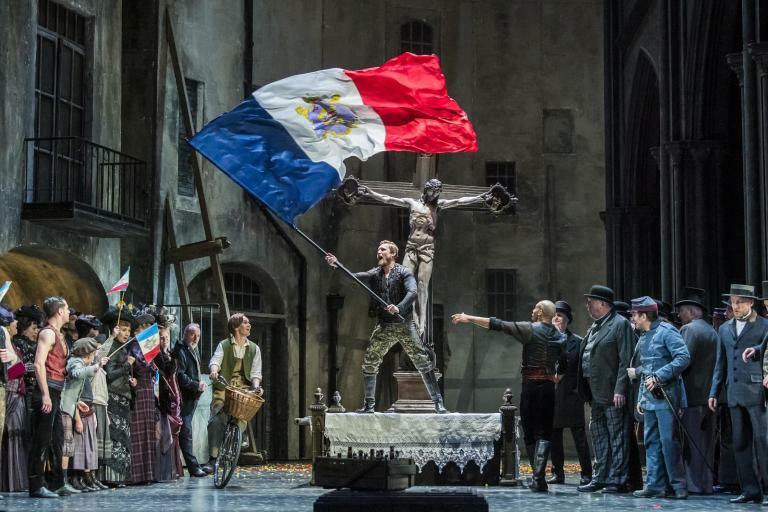 Following tours to Les Théâtres de la Ville de Luxembourg in June 2019 and at the Chekov International Festival on the Bolshoi Theatre stage in July 2019, English National Ballet will take this stellar production to the Gran Teatre del Liceu, Barcelona in April 2020, and to the Théâtre du Châtelet, Paris in July 2020 as part of the festival Les Étés de la Danse. The Mayor of London’s Good Growth Fund has committed to a £1million grant to support English National Ballet’s move and their East London focused project, Bridging Neighbourhoods – Growing Talent. Through this project English National Ballet will share its new world-class cultural infrastructure on the Lea River Estuary as a multi-disciplinary creative hub for active participation and skills development, and as a catalyst for bringing communities together through the sharing of culture. The project will generate 8 new FTE jobs, 20 new Associate Artists and deliver a new skills development programme that provides training, apprenticeships, volunteering, residences and learning opportunities for 4,000 people over the next three years with a focus on recruitment from the local area and across East London. English National Ballet’s Capital Fundraising Campaign: English National Ballet also announces today generous support from the Dorfman Foundation, Stavros Niarchos Foundation, Rothschild Foundation, 29th May 1961 Charitable Trust, alongside donations from individual supporters. Thanks to this and to early supporters of the project including Arts Council England, Linbury Trust, Garfield Weston Foundation, the Wigoder Family Foundation, Foyle Foundation, Clore Duffield Foundation and Wolfson Foundation, £34million of the £36million needed to build English National Ballet and English National Ballet School’s new home at London City Island has already been raised. To raise the final £2million, English National Ballet’s fundraising campaign continues, with a new capital campaign microsite launched today. Every donation facilitated by the microsite contributes towards equipping the new home with state-of-the-art facilities and equipment, from sewing machines for the costume workshop, to mirrors for the studios, to treatment beds for the health suite. English National Ballet’s Capital Campaign microsite can be found here: donate.ballet.org.uk. English National Ballet appoints first Medical Director: Continuing its commitment to its dancers’ health and well-being, English National Ballet has appointed Andy Reynolds as Medical Director, a new role within the organisation which leads on the provision of science and medicine to all dancers at English National Ballet. Reynolds joins the company from Harlequins Rugby Football Club where he was Head of Medical Services and brings with him extensive experience as a medical lead having managed all aspects of medical care for the First XV Premiership team and other squads within the club. His role saw him act as lead diagnostic clinician and manager of a large multidisciplinary team delivering medical and rehabilitation provision. The Medical Director will work to maximise the benefits of the new premises state-of-the-art fitness and rehabilitation facilities which include a gym, Pilates studio, hydrotherapy pool and treatment rooms, implementing processes and strategies to allow English National Ballet’s dancers to prepare, perform, and recover to the best of their abilities. English National Ballet moves to London City Island in Spring 2019 with English National Ballet School joining ahead of their new academic year starting in September 2019. Cinderella, Le Corsaire and Nutcracker open for priority booking to Friends from 10am on Friday 15 March 2019 with general booking open from 10am on Friday 22 March 2019. Please note that booking for Cinderella at Southampton’s Mayflower Theatre opened in January 2019. Priority booking for Akram Khan’s Giselle will open 10am on Monday 8 April for Patrons, Wednesday 10 April for Great Friends, Friday 12 April for Friends, with general booking from Monday 15 April 2019. Creature by Akram Khan, My First Ballet: Cinderella and Emerging Dancer 2020 will open for booking in Autumn 2019. Details on booking for English National Ballet’s 70th Anniversary Gala to follow. Become a Friend today to enjoy priority booking, access to exclusive events throughout the season, and great discounts. Sign up to our e-newsletter to find out when booking is announced.